As far as skin care goes, Ojavan is the most amazing product I have ever used! I am in love with it!! 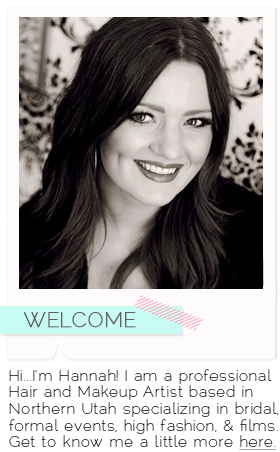 It is a local company that produces Certified Organic and vegan skin care products from the Great Salt Lake. Literally, the ingredient label on the Npato Mineral Mud says "Great Salt Lake Mineral Mud, Concentrated Mineral Water from the Great Salt Lake, and nothing else." 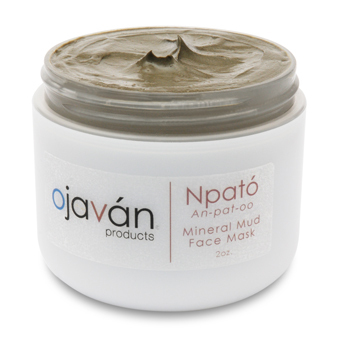 The Npato Mineral Mud is by far my favorite product, along with Pamea Poan Facial Moisturizer. These two products have seriously changed my life! This is my kind of embarrassing, but very true story! I am 24 years old and have suffered from acne for the past 13 years. I have literally tried it all (including prescriptions from a doctor) and have always been disappointed. I suffer from severely dry skin, but have acne. I have always had to mix and match products because most are just for acne or just for dry skin, one always counteracting the other. As a hair and makeup artist, I always feel the need to look my best and have always longed for flawless skin. Not to mention that I am a picker, I absolutely love to pick my zits (gross, I know). Because I have had bad skin for so long, the picking has almost become compulsive and has left some scars which have made me hate my skin even more. Before discovering Ojavan, I was using 8 different skincare products (not including makeup) daily. From face cleansers, creams, moisturizers, serums, and masks, it was taking me about 60-90 minutes every day just for skin care and I was getting very minimal results. After my morning 20 minute skin care routine it would take me 20-30 minutes just to apply my foundation and concealer to cover the vast amount of blemishes on my face. That is a total of nearly 2 hours daily just to make my skin look normal! That doesn't seem vain at all! HA! I felt that I had to wear makeup to the gym, camping, swimming, and even to just go get the mail! I would dread having to take my makeup off at the dermatologist, and would never allow anyone to touch my face. Then my life changed when I found Ojavan! In all honesty I was planning to be disappointed, because that is how every product has left me feeling. It seemed too good to be true. I applied the Npato Mineral Mud Mask to my face followed by the Pamea Poan Facial Moisturizer. By morning 50% of my blemishes were gone, but I did have some new breakouts which was discouraging. I was assured that the mineral mud was detoxifying my skin and to keep at it! By day 2 I didn't have to wear concealer. By day 3 my skin was completely clear of any acne or blemishes. I used the mud mask every night for 2 weeks and now just wash my makeup off nightly and use the mud mask about twice a week. I have not had clear skin like this since I was 10! I actually went to the gym for the first time ever makeup free! Not only is my acne gone, but my skin is more moisturized than it has ever been! This product truly is amazing. I have never had such beautiful skin, I barely even recognize myself! I have gained so much more confidence, and I no longer have to hide my makeup free face from my husband at night! Thank you Ojavan for seriously changing my life, giving me more time, and saving me money! For my out of state friends you can order online at ojavanproducts.com and use the code HG022 for 10% off! Still a little unsure if it will help you? I have samples to give away! Leave a comment with your email and I will contact you so you can try it out! Don't forget to "like" my facebook page HERE! Once I reach 100 fans on facebook or 100 followers on this blog, the Npato Mineral Mud Mask will be one of the many WONDER PRODUCTS given away! Stay tuned for WONDER PRODUCT!Vol.2! PS A big thank you to my darling friend Nadine at Ojavan Products for opening my eyes to such a fab product! hey hey hey! i want to try this life changing thing! i have zits like a banchi. let me know when i can grab a sample han!